It was a well-spent afternoon meeting the author of “Living Well at One Hundred”, Dr. Darlene McCord at Sulo Hotel earlier today. Dr. McCord is a well-respected biochemist from Iowa, USA. She has been awarded two US patents and six medical devices, along with over 30 skin care products available all over the world. Dr. McCord’s work has also been published in peer-reviewed journals and other publications. She is here in Manila to share with the Filipinos her skin and wound care products - Pinnaclife Wound Care System, which includes an antiseptic cleanser, and topical skin solutions,—each specifically designed to help treat wounds and skin irritations of different kinds and severity. Dr. McCord is the Senior Researcher of McCord Research, a research company focused on finding scientifically proven solutions to common health problems. She specializes in corneotherapy for treatment of skin disorders and wounded skin. Ten years of painstaking research led her to discover the cell-regenerating properties of the olive. Later, she would develop a line of skin and wound care products containing her patent pending, breakthrough ingredient Olivamine10. Olivamine10, under the parent company Pinnaclife, has been proven to treat wounds faster and more effectively than any other commercially available wound treatment. These became the best-selling products in hospitals, nursing homes and other medical institutions in the US following the launch in 2004. 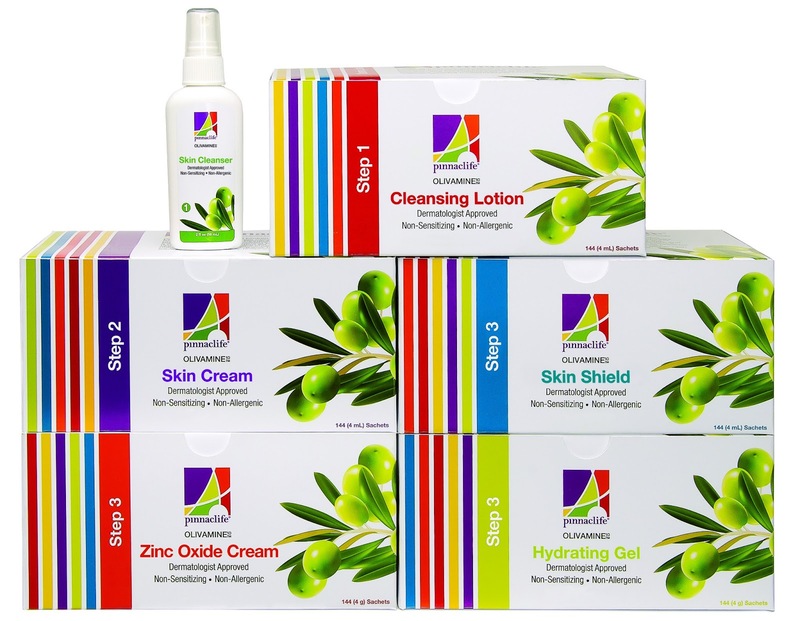 Now, Filipinos can finally have access to Pinnaclife products, which will be distributed by Cambert Pilipinas Inc. Like Pinnaclife, Cambert puts a premium on finding natural solutions to common health woes—a healthier alternative to harsh chemicals found in traditional treatments. These products are made to complement each other by forming a “system” that enables rapid wound healing by nourishing cells in the body, instead of causing further damage to delicate skin as some traditional cures do.